Virtual Tour A stately brick Georgian on one of Royal Melbourne's most picturesque lots. Gorgeous & expansive w/5 bedrooms, 5 & 1/2 baths, beautiful updates, sun-drenched rms w/volume ceilings, bright white trim, casing, crown & wainscoting & your own indoor basketball court! Professionally designed & decorated w/dramatic spaces thru-out the 7000 sq. ft. of finished living space. A massive kitchen w/professional stainless steel appliances, granite island seats 8, abundant custom cabinetry & uninterrupted access into a warm & inviting family rm w/brick fireplace, built-ins & sun rm w/skylights & 2 sets of patio doors. An elegant master retreat w/sitting area,fireplace, vaulted ceilings, skylights & huge spa-bath w/his & hers vanities, whirlpool tub & steam shower. Full finished basement w/entertainment area, bar, sauna, full bath & staircase to the garage. Wooded lot w/large yard, Paver patio, firepit & beautiful landscaping make this an ideal setting for your own private oasis. Stevenson High School! I was searching on Blue Fence and found this listing. 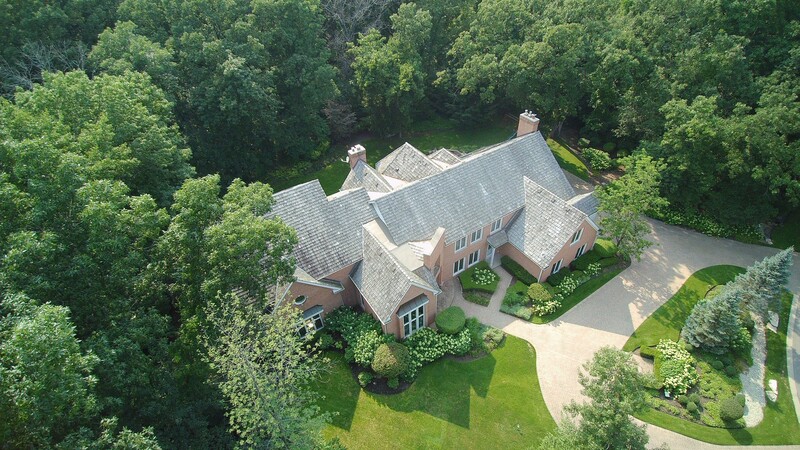 Please send me more information about 4741 Wellington Drive , Long Grove, Illinois 60047. Thank you.